LUMCON is much more than its marine laboratory, the DeFelice Marine Center. LUMCON is a Consortium of marine scientists across more than two dozen member institutions. 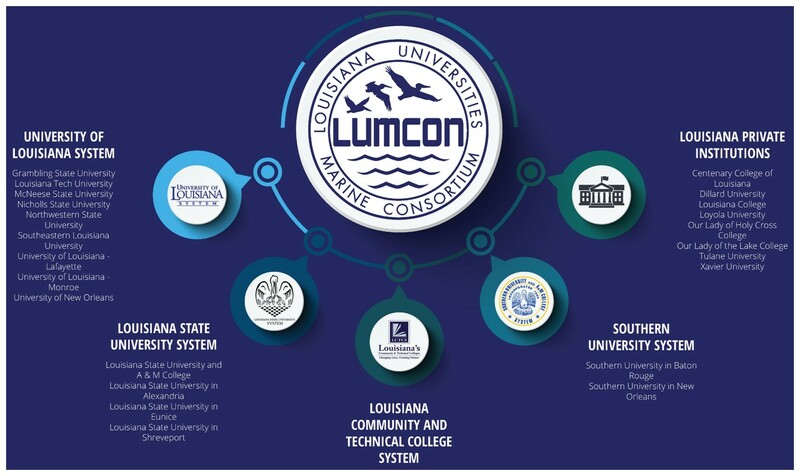 As the hub of this Consortium, LUMCON can draw from a wide variety of resources and expertise, ultimately serving as an incubator and leader for marine science in Louisiana, throughout the Gulf of Mexico, and across the globe. LUMCON’s strength is that it serves as a center for the synthesis of ideas and data, yet is also equipped with the tangible laboratory- and field-based equipment and facilities to bolster scientific progress. LUMCON has the diversity of tools and knowledge through Consortium partnerships to find solutions to problems facing coastal Louisiana, the Gulf of Mexico, and ocean ecosystems at large.